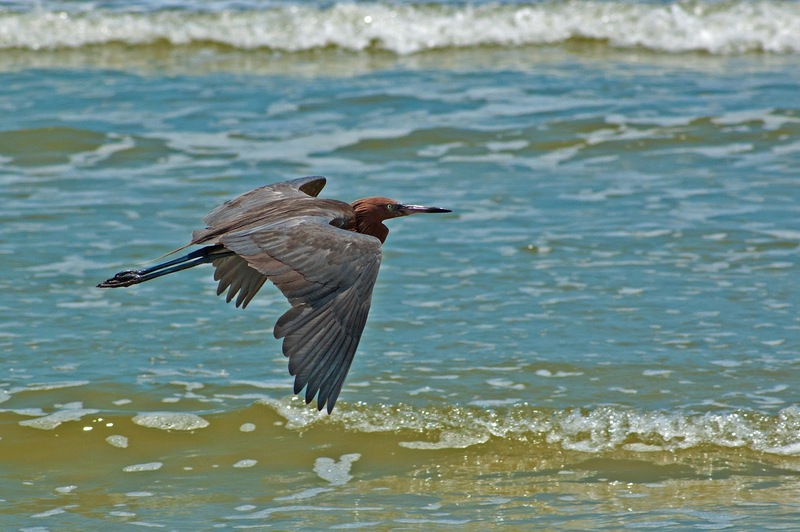 If my memory is correct this is the first Reddish Egret I've seen at New Smyrna Beach. 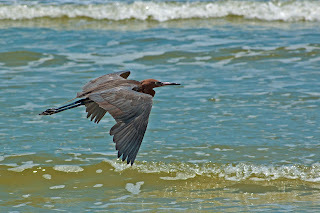 He was hunting in the small waves at the waterline with occasional brief moments of their characteristic hunting style of running around in shallow water with their wings spread. I always expect snowy egrets at this location but this is unusual for me.